Aug. 29, 2018 6:12 a.m.
A court decision expected Thursday could determine the fate of the contentious Trans Mountain pipeline expansion and further define Canada’s duty to consult with First Nations, experts say. The Federal Court of Appeal is to rule on a case that combined nearly two dozen lawsuits calling for the National Energy Board’s review of Kinder Morgan Canada Ltd.’s project to be overturned. First Nations, including the Tsleil-Waututh and Squamish on British Columbia’s south coast, argued the federal government did not adequately consult them before the energy board review or the cabinet decision to approve the project. A ruling in the Indigenous groups’ favour would be likely to kill the multibillion-dollar pipeline expansion that Canada has offered to purchase, said George Hoberg, a public policy professor at the University of British Columbia. “If the Federal Court strikes down the permit authorizing the pipeline because of inadequate consultation, or for another reason, then I don’t see how the pipeline project can proceed — unless or until the Supreme Court reversed that decision,” he said. Lawyers for the federal government told court that Ottawa conducted extensive consultation. If the government wins, the project will move forward, but a “very strong, persistent campaign of civil disobedience” by protesters in B.C. will persist, Hoberg said. The decision is likely to be appealed to the Supreme Court of Canada either way, Hoberg predicted, and another 18 months to two years will pass before it’s settled. Environmental groups and the cities of Vancouver and Burnaby also challenged the project in Federal Court last November, They were supported by the province of British Columbia, which was an intervener, as was Alberta. The province’s lawyer said Ottawa’s decision to approve the pipeline’s expansion between Edmonton and Metro Vancouver was based on a broad base of evidence that considered environmental, economic and Indigenous interests. Kinder Morgan shareholders are set to vote on whether to approve the sale of the pipeline and expansion project to the Canadian government for $4.5 billion on Thursday morning, 30 minutes after the court decision is released. The timing is a coincidence, said Amelie Lavictoire, executive director of the Federal Court of Appeal. Asked if Canada could walk away from the deal if the ruling quashes the permit, a Finance Department spokesman said the agreement has been signed and there’s no backing out. The government undertook a “very vigorous” review process before approving the project and is confident it will win the case, Natural Resources Minister Amarjeet Sohi said Tuesday. A ruling against the government would probably slow down the project but not necessarily stop it, said Werner Antweiler, a business professor at UBC. “Ultimately, the federal government has legislative powers to see this project through,” he said in an email. The Crown’s duty to consult does not equal a veto power for First Nations, Antweiler said, and the decision will come down to what the court deems adequate consultation. Rueben George, manager of the Tsleil-Waututh Nation’s Sacred Trust Initiative, said Canada never intended to consult in good faith and he expects the case to wind up in the Supreme Court. “What I want is for the best interests of Canada — and that’s for this pipeline not to go through,” he said. Kinder Morgan has already won several court victories, including one last week when the Supreme Court of Canada dismissed an application from the City of Burnaby to overturn a lower court decision. Dwight Newman, Canada Research Chair in Indigenous Rights at the University of Saskatchewan, suggested Prime Minister Justin Trudeau’s government learned from a Federal Court ruling in 2016. It found the previous administration had failed to adequately consult with First Nations on Enbridge Inc.’s Northern Gateway pipeline. 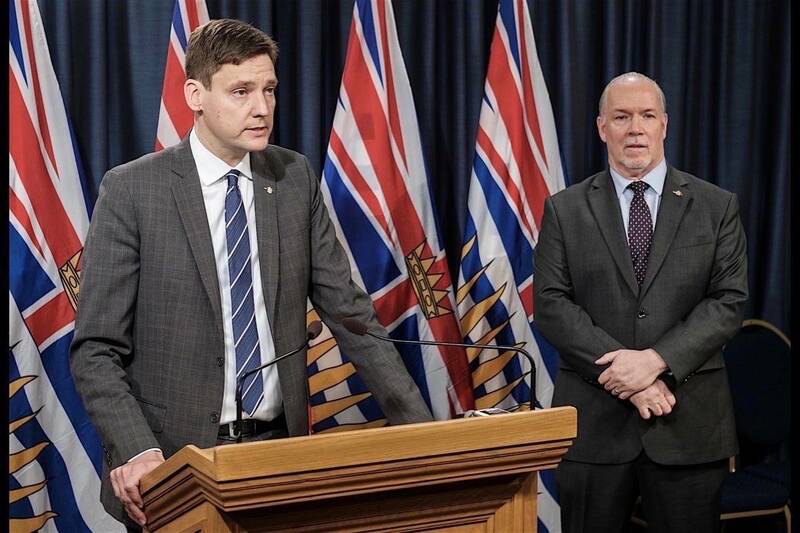 The Liberal government further consulted with Indigenous groups and other stakeholders on the Trans Mountain project later that year, he noted.